Are you looking for a church custom mobile app that integrates with your SimpleChurchcrm church database? Look no further! We love working with SimpleChurchCRM! Our church mobile app can integrate with several features of SimpleChurchcrm. We are currently developing a bridge between many of SimpleChurch’s features. Contact us today and let us work with you to get the features you need on your church mobile app. This does not replace the SimpleChurch app. 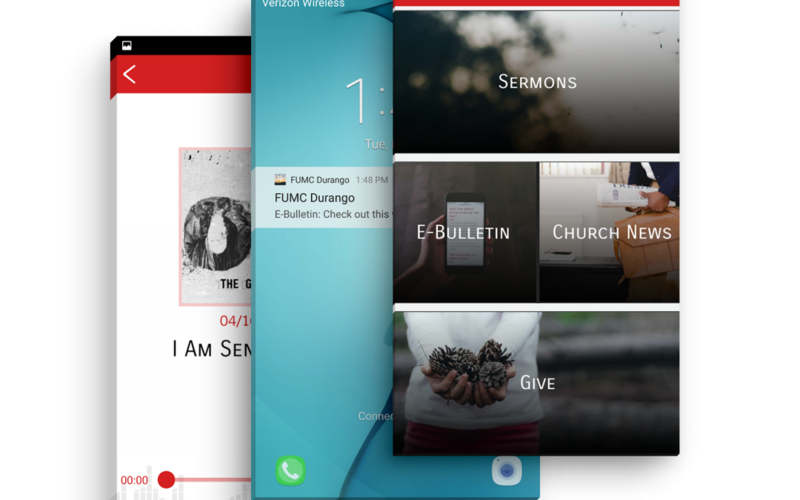 We offer a church mobile app that will allow you to send push notifications, listen to sermons, watch sermons, live stream, send out church news, and more. Contact us today to see how we can help you setup your custom church app that will integrate with SimpleChurch CRM.